For starters, we highly recommend that you first read our Guide to the Best Skis for Beginners, since that article provides a good foundation for the characteristics that we think newer skiers ought to be looking for. Check it out if you haven’t done so already. With that said, we think that all of the skis below could work for a wide range of people who are either getting into skiing or returning to skiing, and we’ve broken them out into a few different categories to help you figure out which one might work best for you. 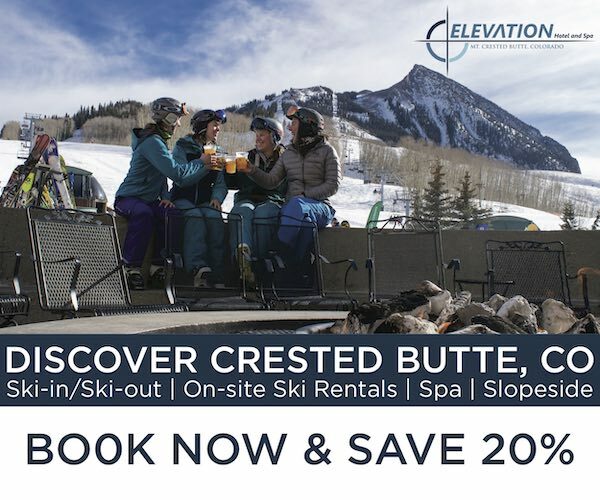 Just because a ski is listed here does not mean that it won’t also be a great option for some intermediate, advanced, or even expert skiers. We know a lot of very good skiers who love some of these skis, so you would be wrong to write off these products as “beginner-only” skis. This is actually another reason we’ve chosen the particular skis listed here, because these are skis that you will not immediately outgrow as you become a better skier. We can’t say the same about many of the rental skis out there, since they are commonly too narrow and too short to begin with, and they are generally horrible for skiing in moguls or on anything other than groomers. Price certainly can be a factor when purchasing your first ski. So to provide you with a rough sense of the price of some of these skis, we’ve included the listed MSRP (manufacturer’s suggested retail price). But it is important to note that what you actually end up paying for the ski might be lower than the MSRP, as some shops will sell them a bit below MSRP, or you might find the ski on sale, etc. And again, keep in mind that, while none of these skis are the cheapest out there, these are skis that we think you could use season after season, and that you won’t want to immediately replace. If you have experience with other skis that you think deserve to be listed here, let us know in the comments section below. Finally, if you want to get our recommendation for the best ski for you, become a Blister Member, send us a note, and we’ll put together our personalized gear recommendations for you. The Black Pearl series is loved by many of our expert female skiers. And yet, the Black Pearl 88 is also a pretty forgiving and light ski. It offers an exceptional combination of high-speed stability and low-speed maneuverability, making it worth a look for people who want a ski they can use as they get better, and that won’t hold them back as they improve. It’s not great in deep snow, but if you’re mostly skiing firm snow (even if it’s rough, chunky, and / or bumped-up firm snow), the Black Pearl 88 is a great option. The Genesis 90 has more tip and tail rocker than the Black Pearl 88, making the Genesis 90 a bit easier to slide around at slower speeds, and float a bit better in deeper snow. But the Genesis 90 also still does quite well on firm snow and groomed trails, making it a solid, all-round ski for beginners. Like the Black Pearl 88, the Genesis 96 is a pretty easy ski that will still offer good stability as you get more comfortable skiing at higher speeds. The Genesis 96 has more tip and tail rocker than the two skis above, which makes the Genesis 96 a bit more versatile in terms of handling both firm and soft snow. As a result, we think it could work well both at mountains that don’t get a lot of snow, and those that do. This is a great ski for ladies getting into skiing at mountains that consistently get fresh snow. The Gottaluvit 105Ti has a lot of tip and tail rocker, making it very easy to maneuver at slow speeds. Its shape also gives the ski a light feel and makes it easy-to-turn. If you don’t think you’ll be skiing a lot of fresh snow, one of the skis above might be better. But the Gottaluvit 105Ti still performs quite well all across the mountain, and really shines when the snow is soft and / or deep. If you think you will be spending most of your time skiing on groomed trails (also known as, skiing “on piste”), and especially if you will be spending a lot of time skiing on very firm, or icy groomers, the K2 Ikonic 84 could be a great option. Skiers lighter than about 150 lbs might want to find a softer ski, and skiers that are ~250 lbs or heavier might want to consider the Ikonic 84 Ti. But the Ikonic 84 is an easy ski to maneuver on firm snow, and its shape provides good edge hold on ice, while also being versatile enough to enable you to do a little bit of off-piste skiing and exploring. The Soul Rider 87 is a great option if you are interested in doing some skiing in the park at mountains that don’t see a bunch of fresh snow. It’s softer flex pattern and subtle tip and tail rocker make it forgiving, and a good option for starting to learn a variety of jump and rail tricks. And while we think beginner park skiers will like the Soul Rider 87, we also think advanced park skiers who prefer a softer, more playful ride will also enjoy it. While many advanced and expert skiers love the Brahma, we think it could also be a good option for heavier beginner skis. It’s surprisingly easy to slide around at lower speeds, and does better than most similarly narrow skis in rough, unsmooth snow. Lighter skiers, however, should check out the next three skis. This is a phenomenal ski, and one that we would love to put many, many beginners on, even though it’s a ski that we recommend to advanced and expert skiers all the time. For use on very firm and icy snow, a ski like the K2 Ikonic 84 will be better. But for use all-around the mountain — or your first ever turns on ski — the shape, weight, and supportive flex pattern of this ski are quite ideal. The Sick Day 94 and Elan Ripstick 96 are both very light, have forgiving flex patterns, and are easy to turn at slower speeds. This makes them great options for lighter skiers looking for something that won’t tire them out after a long day of skiing. The Sick Day 94 is also the least expensive ski in this section, making it even more appealing to those who don’t want to drop a ton of $$$ on their first pair of skis. The Ripstick 96 is very light, easy to slide around, and has pretty soft tips and tails. As a result, it’s one of the easiest skis here when it comes to making turns at slower speeds. Heavier skiers should probably look at the Nordica Enforcer 100 or Blizzard Brahma as they might overpower the Ripstick 96. Those who want a cheaper option should check out the Line Sick Day 94. The MSP 99 is an easy ski that’s forgiving and intuitive to ski as you go from sliding your turns to carving them, but it’s also significantly more stable than the previous two skis. It offers a great combination of stability and forgiveness that makes it worth a look for people who want something that they can continue to ski as they improve their technique and start skiing at faster speeds. Plus, it comes in at a very good price. Like the Blizzard Brahma, the Enforcer 100 is a ski that many of our expert reviewers love, but that will also work very well for heavier beginners (e.g., 200+ lb beginners). Its wider width means that it does better than almost all the skis above when you encounter deeper snow. However, the Enforcer 100 still handles firm snow quite well. Plus, like the MSP 99, the Enforcer 100 is a pretty stable ski that you should be able to enjoy as you improve your technique. The Allplay is worth a look if you’re interested in skiing in the terrain park. The Allplay has a nice, consistent flex pattern with soft tips and tails that create an intuitive ski for learning all sorts of tricks in the park. If you ski at a mountain where the snow is typically harder / firmer, then we’d recommend the Nordica Soul Rider 87. The Soul Rider 97 can work as a dedicated park ski (and is an easy ski to learn tricks on), but also performs well all over the mountain. Like the Soul Rider 87, the Soul Rider 97 has a very forgiving flex pattern that makes it easy to stay balanced, and enough tip and tail rocker to make it easy to turn at slow speeds. See our write-up of the MSP 99 above. If you ski at a mountain that gets a lot of snow, check out the wider MSP 107. The Sick Day 104 is light, forgiving, and very versatile. We know several expert skiers who love this ski, but it’s also a ski we recommend to beginners because of its low weight, tip and tail rocker, and great performance all over the mountain. The Metal has a huge “sweet spot,” so you don’t need to have excellent technique or perfect balance to ski it — which is great for skiers learning how to ski. Plus, The Metal is more stable than most of the skis here, making it another good option for skiers looking for a ski they can grow and improve with. However, The Metal is heavier than all the other skis here, which is why we recommend it to skiers who are either heavier or physically strong. The Ripstick 106 feels pretty similar to the Line Sick Day 104, and is worth a look if you don’t want a heavy ski that might tire you out. The Ripstick 106 is easy to slide around, easy to turn, and performs well in both soft and firm snow. For a cheaper option, check out the Sick Day 104. The Origin 106 has a ton of tip rocker, which makes it the best option here for skiing in deeper snow. But the Origin 106 also does quite well when the snow isn’t deep, and its rocker and forgiving flex pattern make it one of the easiest skis here when it comes to sliding your turns. As someone helping a SO shop for new skis, I was excited for this article. Its mostly just ended up causing some confusion for us though. After listening to one of the podcasts, I had recommended she look into the Genesis 96, but when the Buyer’s Guide was published, she was put off from that ski. The opening line in the Buyer’s Guide mentions that its a great ski for an advanced skier and doesn’t mention accessibility. I understand that doesn’t necessarily exclude it from being a beginner ski as well, but, to her, that suggested she should look elsewhere. On the same page of the guide, the Fulluvit was described as being accessible and still fun for more advanced skiers. Can I ask why this ski doesn’t show up here? As a side note. Future Buyer’s Guides would likely benefit form having an “Accessibility” spectrum at the end of each relevant section (e.g. the women’s specific skis, front-side skis, and all mountain skis categories). I imagine it’d help out a lot of beginners by allowing them to look at a few specific options rather than reading each description to see whether or not beginners are mentioned. Since our reviews in the Buyer’s Guide are necessarily brief due to space and word-count constraints, our goal for the Buyer’s Guide is to highlight the most notable characteristics of each ski, and what specific type of skier we think would like it the most. However, as you mention, that doesn’t necessarily mean a particular product won’t work for another type of skier. That is why we put out this article to speak specifically to beginners, and that’s also why we produce our longer full reviews (we’ll be putting out a full review of the Genesis 96 this year). Re: the Fulluvit 95, we think the Genesis 96 is the more versatile ski, and so makes more sense for beginner skiers who will likely have only one ski they use for everything. We appreciate the input about an “accessibility” spectrum. The difficulty with this is that, in many categories, the differences between most of the skis are quite subtle when it comes to accessibility (specifically). Furthermore, accessibility itself comes down to several factors that are difficult to accurately portray in a simple spectrum, without caveats or context. So again, that’s why we put out articles like this one, which give us a chance to go into more detail about why we think specific skis work for beginner skiers. We will be posting an updated “Best Skis for Beginners” article each year going forward … and you might even see a new relevant section or two in our Buyer’s Guide next year. Thanks Luke, I appreciate it! Here is a personal story that relates pretty well to your message in this article. My wife skis and is a pretty solid intermediate level on good groomers. In any other conditions, she struggles and is more beginner level. She was skiing on older straight skis, basically equivalent to rental skis. I bought her some Head iMonster 78 skis (around 2008 vintage, 78mm underfoot, high performance all mtn skis recommended by Harold Harb) which helped her on good groomers, but didn’t help much otherwise. I finally wised up and bought her K2 Pinnacles, 95mm underfoot, lots of tip and tail rocker, fairly soft, easy to turn, and stable. She skis great in all conditions on these skis and its made skiing so much more enjoyable for her. Even on hard pack, the ease of turning makes her so much more confident. To me, this is real proof of exactly what is being said in the article. Consider adding the K2 Pinnacle 95 to the list, it fits right in, in my view. Thank you for the real-world anecdote, and for the Pinnacle 95 suggestion! I read the Guide for best skis for beginners yesterday and was looking forward to this guide, but I am a little confused by the recommendations. The first section shows Womens Skis, but the following sections dont mention if they are for Men or Women or clearly lay out how the skis fit for a good general group of beginners. For example, I started skiing last year, took a few lessons and by the end of the week I was comfortable on greens and starting to move to easy blues. I would say Im still a beginner as Im still not confident with S turns at speed but Im ready to get something to help me progress. The ski shop of course said I would want a narrow waist ski, light ski on the shorter side. You article explains nicely why this isnt the best choice. I live in Utah so this would further explain why a narrow ski isnt right for me but I cant read the list above and determine what exactly would fit a beginner in my range. Im 6’0 150lbs. Hi, Tim – any skis not specifically in the women’s section are being marketed as “unisex” or “men’s”. And … if between this article and our buyer’s guide, you are still wanting guidance to help you find “exactly” the right ski for *you*, then you might consider becoming a Blister Member, send me an email, and we will work with you to home in on the best 1 or 2 skis for you personally. Great article guys. I think you’ve nailed it. For piste and lower snow areas, I would add the Black Crows Vertis. It’s an awesome ski for beginners and intermediates up to advanced level. It a great ski to learn on and particularly to learn carving. It’s quick edge to edge, great in icy and firm conditions and is playful, poppy and energetic out of the turn. It has tight turn radius and large sweet spot, making it forgiving and intuitive. It definitely has a top speed, but most intermediates won’t find it. However, it isn’t just limited to the piste. In trees and moguls its tight turn radius and firm tails give plenty of support while being highly agile amd without being punishing and it performs pretty well off piste for a ski 85 underfoot, with fairly wide tips to improve float. Wish I’d learned on these, just a really fun ski that puts a big smile on your face every time! Plus being Black Crows they have awesome styling. Agree with the Black Pearl 88s completely. Bought my wife a pair 2 years ago and she loves them. Spot on! Thanks also for the real-world anecdote, and we’ll see about getting on that Vertis. It’s a ski that I’ve personally been wanting to check out. I would add the Salomon QST 99’s to the list and the woman’s version of that ski. My daughter skied them last year and a good friend also got the Lumen 99’s and they both loved them. It seems like a very accessible ski that will grow with the skier as they advance and will not limit off pist skiing. I know my daughter really enjoyed them on the powder days and lapping the tree lines on the Flower Point lift in whitefish. I demoed the 186 QST’s and did not find them exactly to my liking but I could easily live with them as a daily driver. Interesting. We’ve only reviewed the QST 99 in its longest length, and it is definitely not a ski for a beginner. In particular, its tails would be a very big handful for newer skiers. But the short story is that that is probably less true of shorter lengths of the ski, and we haven’t been on the specific skis you mention here. I should qualify that both of these women are solid intermediate skiers to begin with, so I doubt they noticed the stiffer nature of the tails. They both commented that they really enjoyed the skis ie lot of pop, stiff, damp, good in all conditions etc…(in the 167 length-they are both about 130 lbs) as did my 12 year old son who was about 100 lbs last season. My wife never tried the Salomon’s but she just got the Blizzard Shiva 10’s so we’ll see how that goes. I used this page, the previous beginner guide, and the rest of the website (deep dives, full reviews, the print guide) to land on a new setup for myself and my wife and let me tell you it worked out great. We live in WA near a mountain that is notorious for lots of powder so I’m on the Liberty Origin 116 in 182 (5’10”, 185#) and my wife is on the Liberty Genesis 106 in 157 (5’3″ 135#). I was a solid blue, careful black skier and she was a solid green, careful blue skier. We both absolutely love the sticks. This is our first year with season passes so we are getting at it and now I’ve been down some double blacks and lots of small jumps and she is really enjoying normal black diamonds. I don’t think I’ll be growing out of them anytime soon. Thanks so much for the content. Thanks so much for sharing this! That is all great news, and we are psyched to hear that your gear is working out so well. Here’s to many more great days out on the mountain. Hey there, I think I’ve settled on a the Enforcer 100, but unsure about the length. I’m a 6’3″ and 205 beginner skier(blue), long time snowboarder, I got the ikon pass this year planning on 15-20 days. I’m thinking 185? Yes, at your height and weight, and perhaps especially given that you already know what you’re doing on snow (albeit standing sideways), I would go 185. And then please report back! Some folks might try to talk you into going shorter. But my advice is: don’t. Jonathan, Thanks for the advice! I went with the 185’s…great call. Just got back from 3 days in Deer Valley I had groomed, chunky bits, and about a foot of fresh stuff; not once was it too much ski. Thanks again. YES!!! Very psyched to hear this! I haven’t been on the enforcer but I’m on an Origin 116 in 182 and I’m 5’10, 185#. It isn’t cumbersome in the least. I couldn’t agree more with this article; it reflects my thoughts 100%. Just got home from a trip with my girlfriend, who is pretty new to skiing (this was her third trip). After the first day we swapped her “regular” beginner rentals for a set of Ripsticks and her confidence and enjoyment went through the roof. She came into the trip hoping that she would have a good time, but secretly worrying that she wouldn’t. She left in love with the sport and dying to go back. I’d love to take all the credit, but changing the skis up had a huge part to play. “She left in love with the sport and dying to go back.” This. Is. Fantastic. I hope our audience keeps these anecdotes coming. We are building a strong case here. Thank you for sharing, James.